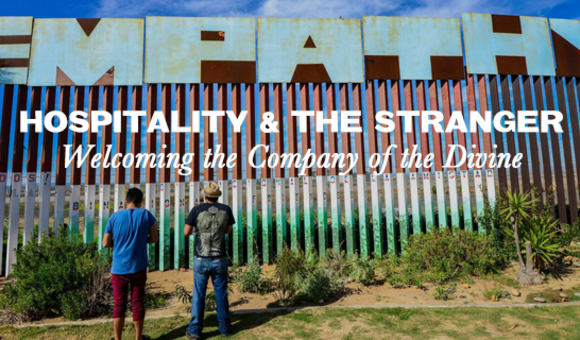 Hospitality and the Stranger: A 7-Session Series on Welcoming the Divine. In ancient cultures, the stranger was someone in whom hospitality was extended. To welcome the stranger was to welcome the company of the divine. This series of videos is about those we might consider other, stranger, foreigner, and alien. These are the people often on the margins of society, and treated as such. They might be the migrant, those who are of different religious or cultural backgrounds, those who live in neighborhoods of different social economic classes, those who simply look, act, and behave differently. Whenever we encounter something new, often we are challenged. Our comfortable world feels intruded. The saying, “birds of a feather flock together” speaks about our affinity toward sameness, not difference. We are naturally drawn to what is like us. But if this is the case, then how can we know something new? How can we come to recognize the presence of an infinite God, if all we are seeking is to confirm what we already know about God? It might be that salvation does not lie in the familiar, but that which comes to us as different, as the other and the stranger. The curriculum, written by Phuc Luu and includes 7 sessions with an accompanying discussion guide.